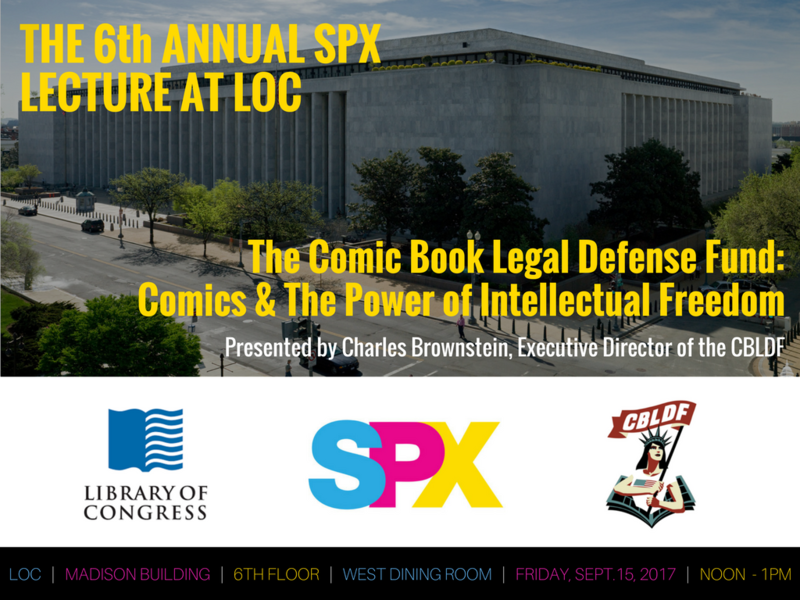 This year’s annual Small Press Expo Lecture is The Comic Book Legal Defense Fund: Comics & The Power of Intellectual Freedom. A trend that began in the 1940s continues today—challenges to comic books! Charles Brownstein, Executive Director of the non-profit Comic Book Legal Defense Fund, will share the history of comic book censorship from the medium’s origins to the present day. Participants will learn about the history of comic book censorship, and how that history still informs challenges to graphic novels happening right now. Learn what CBLDF does to protect this valuable medium, discover some of the most frequently challenged comics and graphic novels, and what you can do to make a difference. Emerge from this session with a new or renewed passion for comics, graphic novels, and manga and as a strong advocate for protecting this form of free speech! A selection of comic books from the Serial and Government Publications Division will be on display. This is the sixth annual SPX festival program sponsored by the Serial & Government Publications Division.